Ered – Night of Eternal Doom – War Anthem Records – Release: Out Now. Listening to this newest offering from Ered you would be surprised to hear that the band’s actually from Spain as their music sounds like it’s made by the best masters of black metal straight from Sweden! Though I have to say I’m not too deep into black metal I really hear a big connection with especially Watain’s most recent albums. There’s a superbly sinister atmosphere and pure hatred just radiates from the instruments as well as the venomous vocals. While there are some melodic passages most of it is pure blasting black metal. Like I said, you’d be forgiven for thinking this album to be undiscovered material from the Swedes masters. The songs have a lot of meat to them and you will feast on the constant assault on the ears without ever tiring out. 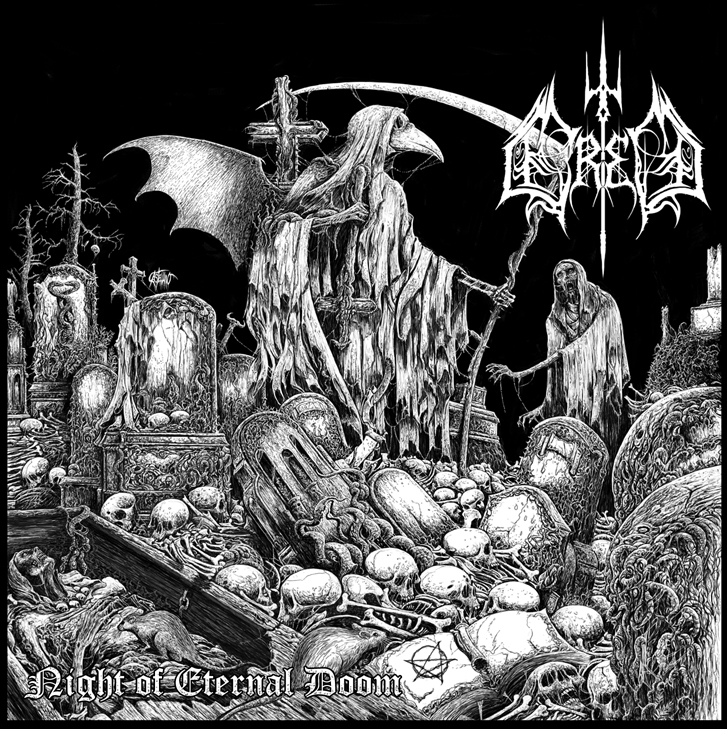 If you can’t get enough of blistering black metal “Night of Eternal Doom” is the album for you!